Our label material is an outdoor quality vinyl made for years of use in the weather. We have found they stand up well to normal wear and tear experienced with sporting goods. They have excellent adhesion to all clean, rust-free metal and most hard plastic surfaces typically found on sporting goods. They resist rubbing when applied properly and adhere well to themselves when wrapped around cylinders such as golf clubs and carabiners. Our lamination protects against common cleaning chemicals. Both our regular and reflective custom printed labels are laminated. The standard stripe colors are listed below. White is the natural color of our non-reflective labels. The reflective labels have a silvery gray color. The following RGB values are what we print. 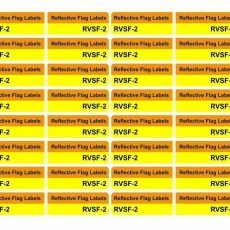 Our reflective labels are a bright, microprismatic vinyl typically used as conspicuity markers for traffic safety, emergency vehicle marking, and other applications. The base vinyl label meets a Type V retroreflective rating, and includes a metalized microprism layer. This reflects a larger amount of the light exposed to the label, opposed to engineering grade and other non-prismatic reflective labels. 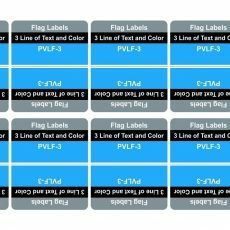 Most printed labels on the market will be an engineering grade reflective material. 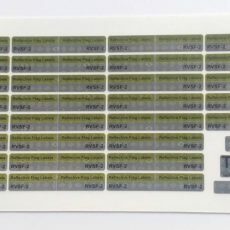 Our reflective labels will have either a diamond shaped hatch pattern or other pattern in the base label material that contains the microprisms. The engineering grade reflective material will not have these patterns. 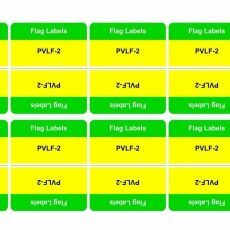 Without getting into the science behind the reflective technologies, the difference to you is seen in the amount of light reflected by the labels. 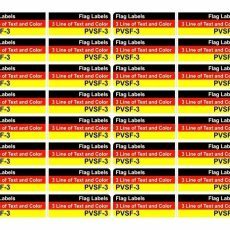 When you are in a dark environment, with a fading flashlight, our reflective labels will light up brighter than other grades of reflective labels.